All traditions are invented, post facto confabulations and imagined communities. None more so than the British folk song tradition. Seen in this light, the soundtrack composed by American playwright and songwriter Paul Giovanni for The Wicker Man might be seen less as the inauthentic oddity it has often been regarded as, and more as the very ideal type of the genre. An unholy Creole of original compositions, nursery rhymes and assorted fragments from the traditional music of England, Wales, Scotland and even Bulgaria, as an attempt to realistically recreate the indigenous sound of a long isolated Hebridean island, Giovanni’s score must be regarded as a laughable failure. However, as an unheimlich phantasmagoria aimed at transporting its audience into the strange yet hauntingly familiar other places of the unconscious, it is little short of a masterpiece. The songs were, for the most part, written on guitar by Giovanni, and then arranged and scored by associate musical director Gary Carpenter with additional input from the assembled musicians. Carpenter, who was then a recent graduate from the Royal College of Music, was auditioned for the post by Giovanni, as were Peter Brewis (who played recorders, Jew’s harp, harmonica and bass guitar) and Michael Cole (concertina, harmonica and bassoon). The rest of the band was recruited by Carpenter, largely from his own short-lived folk-rock combo, Hocket. Assuming the name Magnet (after discovering their first choice, Lodestone, was already taken), the band developed and recorded most of the music prior to the film shoot and appeared as performers in several key sequences of the film. Fans of The Wicker Man are wont to insist that it is not a horror film – in much the same way Kurt Vonnegut fans will sometimes try and dissociate their idol from the science fiction genre, in order not to besmirch such an auteur with such a pulp genre. 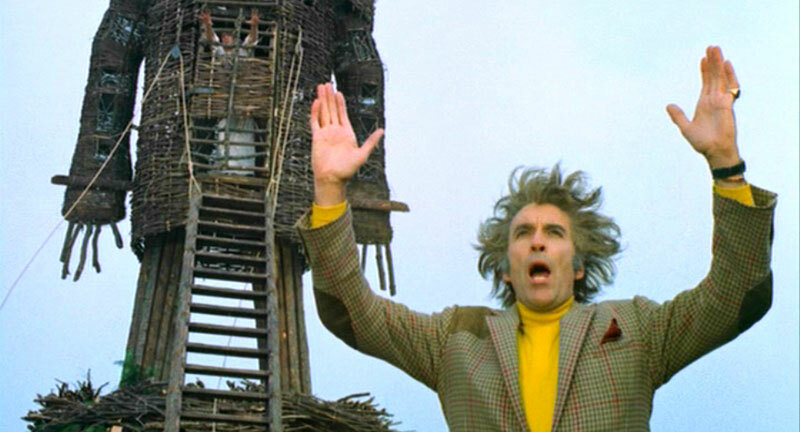 Considering the importance of music to The Wicker Man, the intimacy with which the songs are integrated into the narrative, and the embedding of performers within the frame, one wonders if those fans would be any more comfortable thinking of it as a musical.